Are you looking for a multi-function instrument for efficient flue gas analysis? Which confidently solves every task on a heating system? And is still convenient to use? The new testo 320 fulfils all of these requirements, because that is exactly what it was developed for. 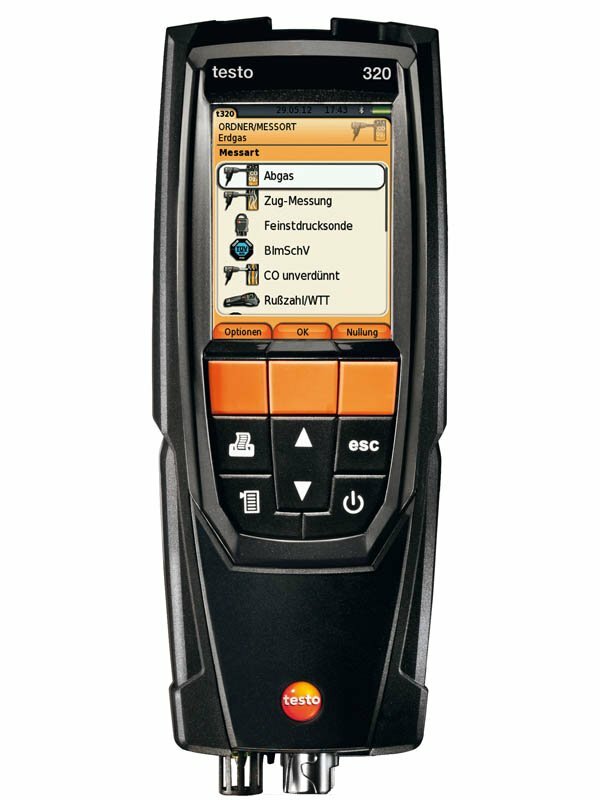 The testo 320 has a high-resolution colour display which presents the measurement results graphically. It provides simple, self-explanatory measurement menus. 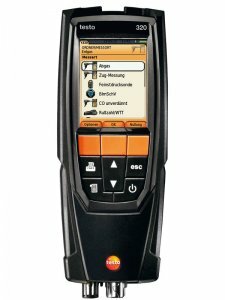 The testo 320 is very robust, ergonomic, and at the same time aesthetically designed. It has two sensors for O2 and CO as well as a temperature probe integrated into the flue gas probe for the direct measurement of temperature, O2 and CO. From these data, the instrument calculates all relevant flue gas measurement parameters such as CO2 value, degree of effectivity and flue gas loss. Direct draught or pressure measurements are additionally possible. Using the fine pressure probe, the flue draught or gas pressure values can optionally be measured parallel to the flue gas measurement. - TÜV-tested according to EN 50379, Parts 1-3.